Picasso’s Weeping Woman will come to life for the first time as part of a new suite of art education programs at the National Gallery of Victoria that fuse art with digital technologies. Primary school students will use computer code to animate the NGV’s famous Picasso through the Australian-first NGV Digital Creatives program, launching in term four. Developed in partnership with Telstra, the program draws on the NGV Collection and uses technology to introduce new ways for students to understand and respond to art – as well as create their own masterpieces with 21st century digital technologies. The workshops, held in NGV’s education studios and gallery spaces, support the national drive for a greater focus on science, technologies, engineering, and maths (STEM) in education, by using visual arts as a platform to develop students’ digital literacy and skills in problem solving, critical and computational thinking. A highlight of the NGV Digital Creatives suite is the Art/Code/Create workshops, developed in consultation with Code Club Australia, a non-profit organisation, which aims to foster digital literacy around Australia. Using Scratch, a universal program that teaches children the foundations of coding language, NGV educators designed a series of workshops in which students create computer-generated works of abstract art, build their own digital paint palette and animate the NGV’s Weeping Woman. The Art/Code/Create workshops are complimented by a full offering of digital and technology-based workshops, including a digital sculpture workshop in which students create a virtual 3D sculpture, and a digital photography workshop where pupils are able to superimpose themselves into their artwork. ‘Artists have used materials and tools in innovative ways to make art throughout history. Contemporary artists working today use a variety of technologies to create artworks, including virtual reality technology, 3D printing and robotics,’ said Tony Ellwood, director, NGV. ‘NGV Digital Creatives introduces students to computer code and digital technologies and prepares the next generation of Australian artists with new art making materials,’ said Ellwood. General manager of the Telstra Foundation Jackie Coates said that digital skills were vital for young people and preparing them for the jobs of the future. 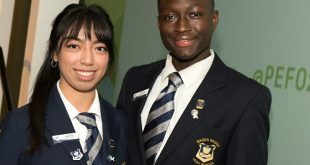 ‘We talk a lot about the importance of STEM in education and the development of science, technology, engineering and maths skills in young people – this program puts the much-needed ‘A’ into that equation to create STEAM – highlighting the value of bringing creative and design skills into learning,’ Ms Coates said. NGV Digital Creatives will also include a full-day coding workshop for teachers, whose confidence with computer code is critical to its success in schools. This workshops reflects the NGV’s commitment to supporting the development of digital literacy in children, including the development of coding skills, both inside and outside of the gallery walls. ‘Coding is the language of the 21st Century – and is increasingly becoming the canvas of artists around the world. 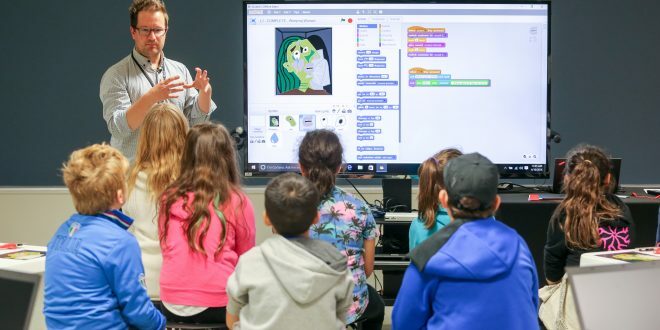 Code Club is proud to have supported the development of NGV’s inaugural coding workshops, which will empower students through both art and technology,’ said Code Club Australia general manager Kelly Tagalan. NGV Digital Creatives programs builds on the strengths of NGV Education’s existing programs in visual arts and design, the humanities, English, languages and philosophy. The programs reflect the NGV’s commitment to using technology to engage and enable students and to support twenty first century learning.